Explore endless musical possibilities with the Kawai CS11 Digital Piano. Feature packed for you to discover a range of musical styles. Designed with the home user in mind, the CS11 features USB connectivity so you can play MP3 or WAV files directly out of the CS11's speakers. While the Grand Feel II wooden keys use a seesaw motion and weighted feel for true acoustic piano authenticity. The soundboard speaker system pushes a room-filling sound with atmospheric quality with remarkable projection. With Kawai, you can enjoy an awesome playing experience in your space. Established in 1927, Kawai is now one of the largest music manufacturers in the world. Kawai focuses only on creating high-quality acoustic and digital pianos and have produced some of the most famous concert grand pianos in the world, such as the Shigeru Kawai EX and Shigeru Kawai SK-5. In creating their range of digital pianos, Kawai makes use of this expertise to replicate as closely as possible the experience of playing an acoustic grand piano. 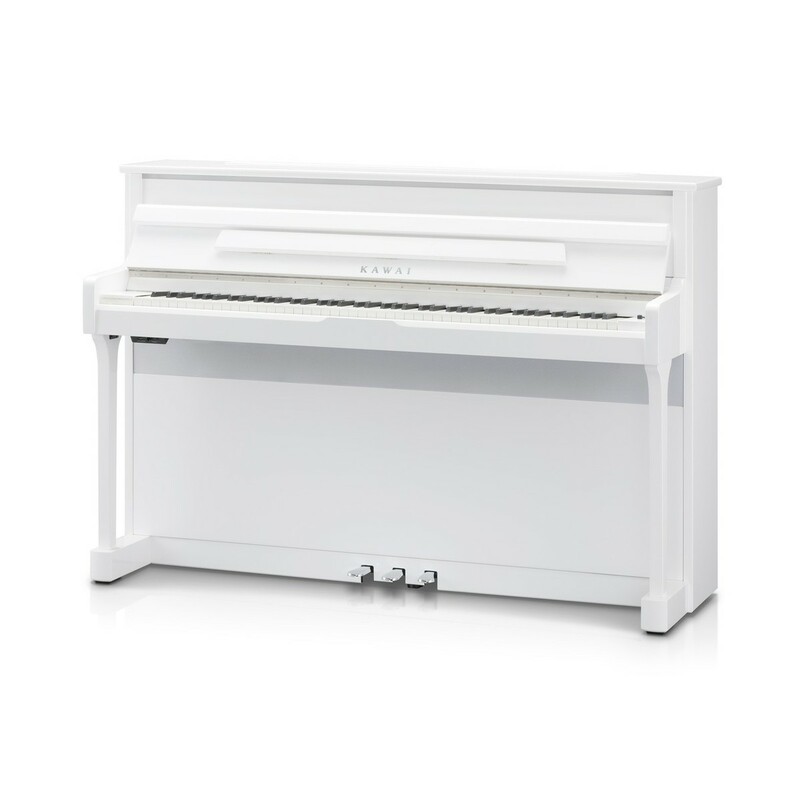 Kawai pioneered the use of wooden key components in digital pianos and continue to innovate for an ever more authentic piano playing experience. The CS11’s digital screen makes editing and navigation easier than ever. The dedicated buttons to control the metronome, recording functions and effects provide easy access to the different features. The screen and controls are in an optimum position for using quickly in a performance or recording situation. The backlighting on the screen makes it easy to read in different lighting. Note: Your order may be delivered with a plug adapter.